Motherhood is hard. In a world of five-step lists and silver-bullet solutions to become perfect parents, mothers are burdened with mixed messages about who they are and what choices they should make. If you feel pulled between high-fives and hard words, with culture’s solutions only raising more questions, you’re not alone. You might think that Scripture doesn’t have much to say about the food you make for breakfast, how you view your postpartum body, or what school choice you make for your children, but a deeper look reveals that the Bible provides the framework for finding answers to your specific questions about modern motherhood. 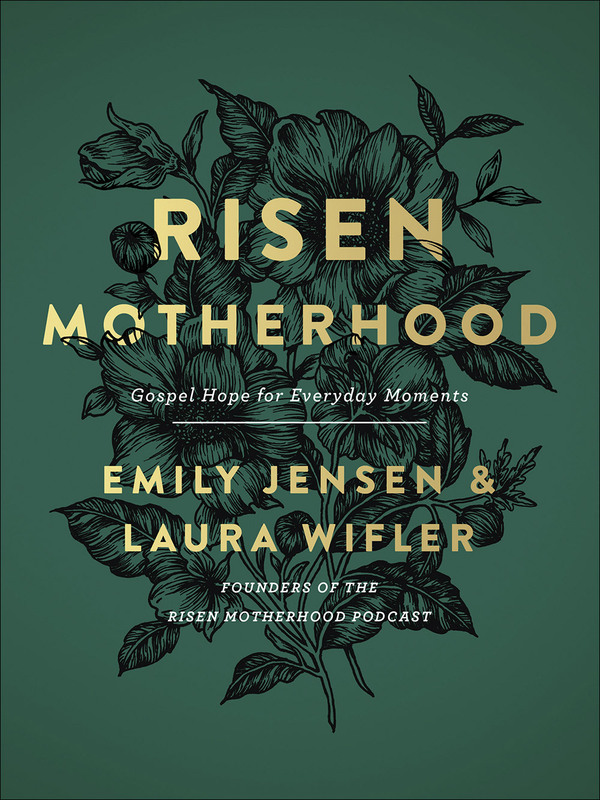 Emily Jensen and Laura Wifler help you understand and apply the gospel to common issues moms face so you can connect your Sunday morning faith to the Monday morning tantrum. Discover how closely the gospel connects with today’s motherhood. Join Emily and Laura as they walk through the redemptive story and reveal how the gospel applies to your everyday life, bringing hope, freedom, and joy in every area of motherhood. Emily Jensen’s articles have appeared on numerous websites, including For the Church, The Gospel Project Blog, and The Council on Biblical Manhood and Womanhood. She and her sister-in-law, Laura Wilfer are cofounders of Risen Motherhood, a gospel-centered ministry for moms. Emily lives in central Iowa with her husband and five young children. Laura Wifler is a motherhood and lifestyle blogger whose articles have appeared on popular sites, such as BabyCenter and DesignSponge. Laura puts her sound foundation of biblical knowledge and theological training to use running the gospel-centered ministry Risen Motherhood alongside her sister-in-law, Emily Jensen. Laura lives in Chicago, Illinois with her husband and three children. “Risen Motherhood points us to the Source and Sustainer of resurrection vitality and life that weary mamas so desperately need. Its pages are Word-saturated, helping us to think biblically about how the gospel applies to the majestic and the mundane moments of motherhood." 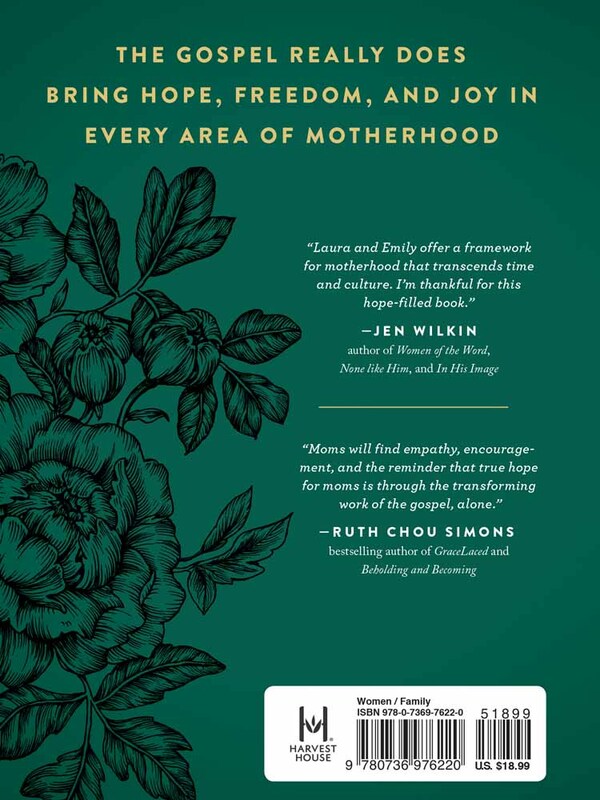 “If you are looking for practical tips on mothering and how-tos, this is not the book for you. But if you need to be refreshed and reminded that what Jesus accomplished on the cross and the grace available to us is sufficient for our daily mothering needs, you’ve come to the right place. Risen Motherhood will inspire you toward Bible reading, rest in the Savior, and joy—shored up by gospel truth—for the little years.